American Banknote Company. 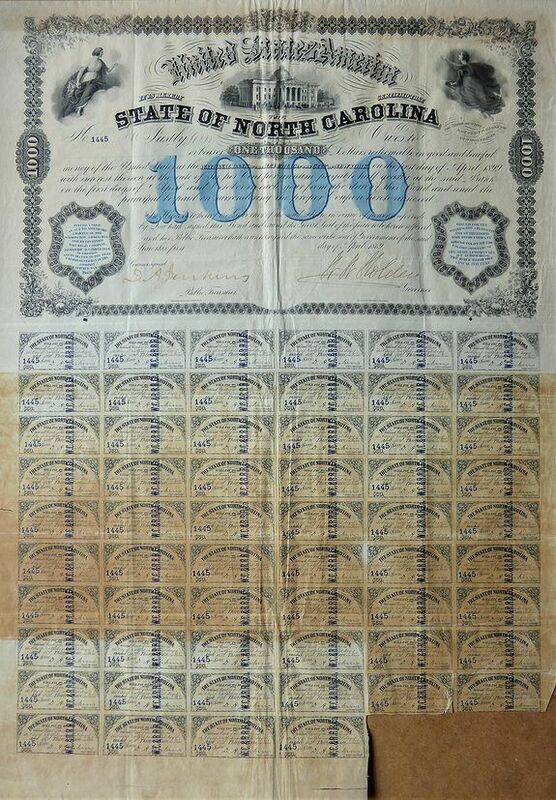 - State of North Carolina $1000 Bond 1869 signed by Governor William Woods Holden. A beautifully engraved un-cancelled $1000 Bond certificate No. 1445 from the State of North Carolina dated 1869.